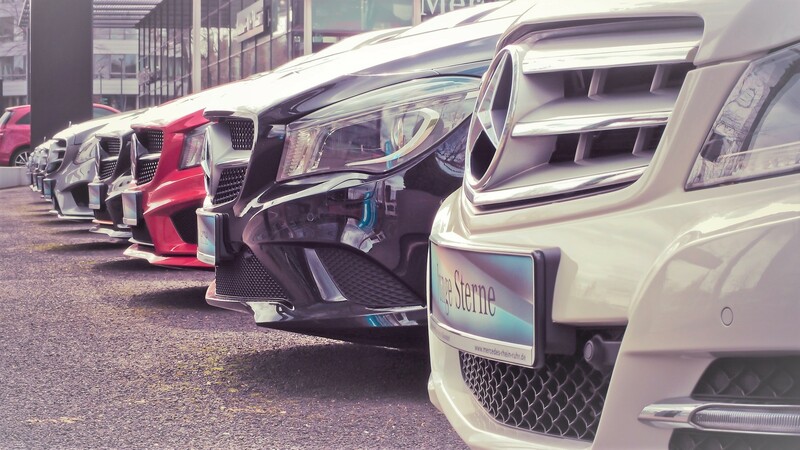 In this post I will just show you three different ways of looking upon buying a new car (transportation is the second biggest expense for the average US family). I will also touch upon the impact it will have on the life of the purchaser, both short- and long-term. There are always different alternatives and situations to choose from and I can of course not go through every eventuality. Therefore I will have to make some assumptions and I will try to be clear about them. In this post I will refer to the twins, Joe the Joyer and Frederic the Free. Joe tends to always spend all his money and rarely has any savings left. He tends to worry frequently about money but still never learns and spends like there is no tomorrow. Frederic on the other hand is free from financial worry as he is living by his means, taking well care of his money and has made them his servant (they are working for him and not only vice versa). Let’s start with the fact that the average car bought in the US in January 2018 cost 36,200 USD and that will be our starting point. Although as cars in the US are much cheaper than in many other countries, we will use 40,000 USD in our examples. We will look at the financial impact of purchasing a car using different alternatives but will NOT take into account any running nor any fixed costs associated with owning a car as those numbers can vary significantly but I would guess at least 300 USD per month on average…. Joe the Joyer obviously has no possibility of buying a new car for cash as he never seems to have any! Frederic the Free of course has the cash as he has been planning to buy a new car for some time and has been saving. Therefore the money is in his account. Frederic realizes that he has a few alternatives to choose from as his financials are very strong. He can either buy cash, take out a car loan or even increase his small mortgage on his house to finance the car. Buying the car outright would mean 40,000 USD out of his account right now but that would not be a problem as he had saved for it and would still have very strong finances. Fredric of course wants to make the wisest financial decision so he will not make up his mind until he has gone through all his alternatives and decided which one will be more favorable to him and his family. Joe the Joyer is not sure how he is going to handle this as he doesn’t have the 10% down payment the dealer wants (since no savings…). Not to worry. When Joe really wants something he usually becomes creative and now he really wants this car to impress the new girl he is dating. So he applies for and gets a new (his ninth) credit card and maxes that out so that he has the 4,000 USD he needs to pay the dealer. Of course he has no idea what the interest on that card is, nor how he is ever going to be able to pay it back… Well, he will worry later on, now he just wants to get his hands on that new car! The dealer is not very flexible and both of them get the same terms and an interest of 5% (which by historical terms is very low but it can always increase as this is a floating rate…). Frederic will have no problem paying the 680 USD per month but on the other hand, he is not that keen on paying the dealer almost 5,000 USD in interest over the five year period! However, if history repeats itself, Frederic will be able to generate a higher return by investing his money (his historical average is 10% so paying 5% would still be ok). He would also have more financial flexibility as he would keep 36,000 USD invested which would be at his disposal at any time (and of course at that current market value). Joe, has no idea how he is going to find 680 USD per month to pay for the loan as he has never managed to save any money, but a new car is a new car and he will find a way later. He therefore proceeds with buying the car! What he forgets is that his newly acquired credit card debt of 4,000 USD is running at 20% interest (high because of his poor finances) and with no amortization. This is another 67 USD per month in infinity (as he doesn’t amortize) but he is currently happily unaware. Joe the Joyer is renting a flat and paying rent to his landlord (who is making passive income out of Joe) so he has no mortgage as he doesn’t “own” his own property. This means that Joe won’t have the possibility of increasing his mortgage to pay for a new car. Frederic gives his private banker a call and asks about the possibility to increase his mortgage with 40,000 USD. Of course there is no problem and the suggested rate is in line with his mortgage which is currently running at a 2,5% variable rate. If we do similar comparison as before and Frederic assumes he can generate 10% in return on his investments and pay 2,5% to the bank (no amortization as his loan is so small), after ten years it would be worth approximately 80,000 USD! He basically keeps his money invested, making 10% return per year but has to pay 2,5% in interest on his increased mortgage which means he is making 7,5% return per year on his 40,000 USD which he leaves in his investment account. Ten years later, Frederic could then pay the bank the 40,000 USD, whilst still having 40,000 USD in his investment account and own a car valued at 10,000 USD! Basically, his investments paid for the car and more! This alternative is of course much more appealing to Frederic since the interest cost is half compared to the car loan but he still keeps the flexibility as he still has his 40,000 USD invested in his name and hence available at any time (again at the current market valuation). Frederic wants to become even more Financially Free! He knows he is by no means any financial genius but he has learned from some of the best in the market and stayed invested for the long-term. His historical return is in line with the overall US stock market (S&P 500), which means his investments have generated an average return of around 10% per year. The initial primary alternative for Frederic (as he is always investing for the long run which to him is +15 years) was buying a new car by borrowing the money from his bank (increasing his mortgage). By doing so, he would have a new car and after ten years, still have 40,000 USD more compared to if he were to pay for it with his cash (yes, he believes that over the long-term, his return will be similar and he has both the capacity and the willingness to take the risk). Frederic then starts looking at second-hand cars and realizes that it is a much more appealing alternative and the market for second-hand cars is huge. A lot of people buy new cars so there is plenty of them on the second-hand market. All he has to do is finding a good quality car (reliable, low maintenance, low tax and insurance) which is 5-10 years old and with low mileage and he would most likely save a ton of money! If he finds one and buys it for around 10,000 USD, he can keep the difference of 30,000 USD invested in the stock market and still own a car which most people will think is new (as few people can really tell the difference nowadays). The graph shows that if Frederic the Free manages to get the same return, his 30,000 USD would have grown to almost 80,000 USD! The car would already have been paid for in cash and he would have 80,000 USD in his investment account, how cool is that! Frederic on the other hand, has been very happy with his choice of buying a second-hand car and to be honest, if you are not a proper car enthusiast you probably can’t tell the difference between a brand new car and a car which is 5-10 years old but which has been taken excellent care of. Frederic is happy and his family is happy, since over this period they have 80,000 USD in their investment account compared to Joe, who has spent 47,000 USD, a difference of 127,000 USD between the two!! I will let you be judge of which twin is having more quality of life, peace of mind and joy in their life. This is not a real life example of two twins but it could have been. This is how many of us handle money and car purchases. Of course I have made many assumptions and simplified a lot of things but all of it is completely realistic. You don’t have to agree and that is totally ok. The only thing I wanted to show is that most things can be done in many different ways and with different consequences. By making insightful decisions, we can be more certain about the impact of our choices in life and hence have a great and positive impact on how we live. That to me is life on our terms. I could have shown many more examples, included many more costs, argued in different ways but that was not my intention. My intention was only to in a clear way show that the decisions we make and how we implement those can have significant impact on the quality of our lives, both in the short-term and in the long-term. It might give you a nice feeling to drive a certain car (for a couple of weeks) and maybe you can even impress your neighbors by buying a new car (even though you actually don’t own it since you have borrowed the money to buy it!). But if it jeopardizes your quality of life because you constantly worry and argue about money, the relationship with your partner will probably suffer as well, is it really worth it?